Elizabeth Guerin Dickinson received her undergraduate degree in Psychology from Stanford University, and, her Juris Doctor from Santa Clara University School of Law. In addition to membership with the State Bar of California, she is also licensed to practice before the United States District Court, Central District of California. 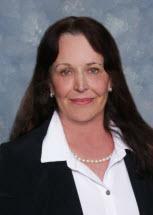 Ms. Dickinson brings extensive experience as a skilled litigator to Feinberg & Waller. Ms. Dickinson devotes time to her clients allowing her to achieve satisfying resolutions during a difficult process. Her educational background in psychology has also enabled her to sensitively and successfully resolve family issues without the need of the courts’ participation. She practices with an eye towards minimizing the emotional impact of divorce. She helps clients manage high pressure situations ensuring that they understand all their legal options so they can make informed decisions on how to proceed. Ms. Dickinson is an aggressive and persistent litigator when court intervention is necessary. She is an outstanding communicator, strategist, analyst and advocate for her clients. Ms. Dickinson’s compassionate “hands-on” approach is an asset to individuals and families in transition. Prior to joining the firm, Ms. Dickinson gained considerable experience in complex cost-effective case management from trial preparation, to judgments, through the appeal process. Her litigation acumen includes the ability to interpret laws, rulings and regulations for individuals and businesses. Ms. Dickinson also has experience in a wide variety of litigation matters, including civil litigation, products liability, aviation defense, insurance defense, breach of contract and other complex matters. Her skills extend beyond legal expertise to wider industry knowledge. She applies broad based thinking in evaluating complicated, significant matters that cut across legal and related areas. She is a practical thinker, a problem solver and a parent of three young adults. She anticipates issues and identifies proactive solutions as she analyzes risks and benefits in intricate family law matters. She draws from diverse experience to offer clients with multifaceted issues exceptional representation. Ms. Dickinson is an active community volunteer. She leads a weekly mentorship program through iMentor Global for inner-city high school girls at Viewpark High School in South Central, Los Angeles. In this program, where she has received a volunteer of the year award, she assists high school youths in developing social-emotional and critical thinking skills. She guides students through the college application process and scholarship opportunities.